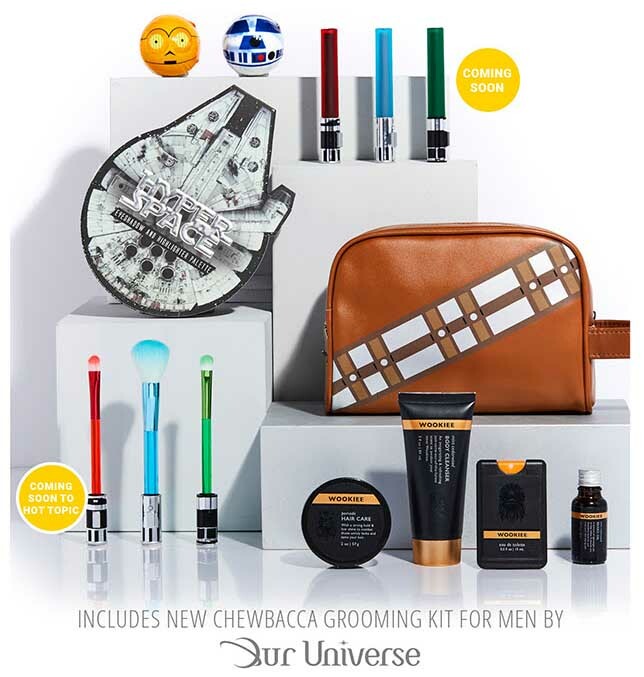 Now fangirls can create their favorite light side or dark side inspired beauty look to complement their Her Universe fashions with the first-ever classic Star Wars beauty collection from Her Universe in collaboration with Hot Topic. 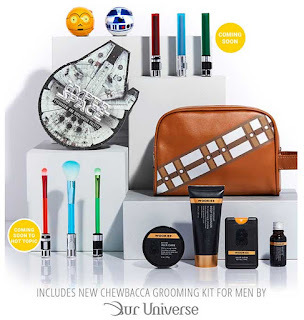 The assortment includes new Star Wars inspired eye shadow and highlighter palette named Hyperspace, Lightsaber themed make-up brushes (coming soon to Hot Topic) and Lightsaber themed Lip Gloss (coming soon), bath bombs, a dark side fragrance, and, for those scruffy looking nerf herders, a Chewbacca grooming kit for men. "When I first launched Her Universe in 2010, I shared with the fans that it was a dream of mine to make Star Wars beauty products," said Her Universe Founder Ashley Eckstein. "Almost 8 years later, I am finally making good on that promise! To see my idea of a Lightsaber Lip Gloss set come to life is literally my fangirl dream come true!" The Star Wars beauty collection from Her Universe in collaboration with Hot Topic is available now in Hot Topic stores and online at hottopic.com and heruniverse.com.